“While the employment figures have largely taken the shock of the Brexit result in their stride, the economy is facing a more insidious threat - the prospect of shrinking real wages. “With consumer inflation at its highest level for two years, alarm bells are ringing at Britain’s slowing pace of wage growth, which has now slipped for two months in a row. “While average wage rises are still modest, rising prices are starting to erode workers’ purchasing power. For the two to be moving in opposite directions is an uncomfortable reminder of the painful years Britain suffered after the financial crisis. “There’s a sad irony in that many of those who feel left behind by globalisation – and who were most likely to vote for Brexit – are now the most likely to be caught in the vice of rising inflation and falling real wages, as many spend a higher share of their earnings on basics such as food and fuel. “Overall levels of employment remain reassuringly robust, but employers’ desire to take on new staff has cooled sharply in the wake of the Brexit vote. 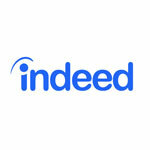 “The latest data from the Indeed Industry Employment Trends report shows that in the three months following the referendum, the number of vacancies fell in 11 out of 13 recruitment sectors.